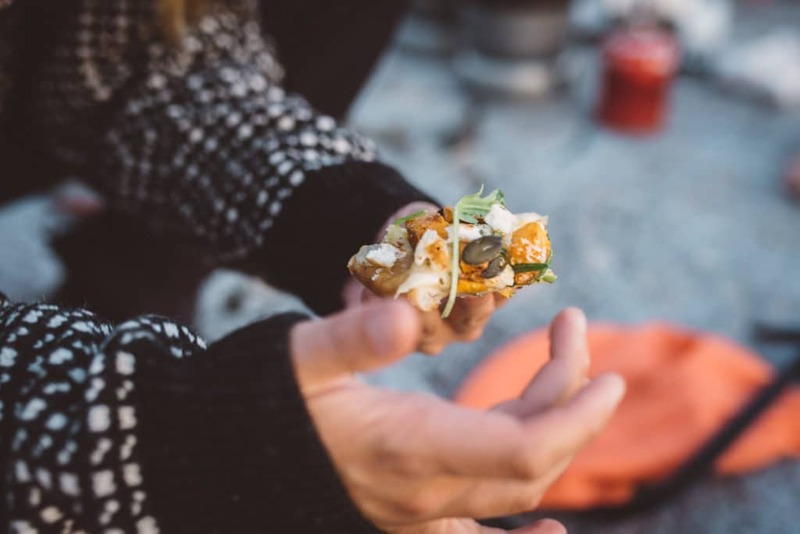 Pizza in the Pines – Do the North – A Scandinavian Outdoor Adventure Company! As someone who isn’t Swedish, I never would have thought pizza was an exceptionally Swedish dish . . . but it turns out, I am wrong. Since living in Sankt Anna, I have repeatedly learnt that Swedes LOVE pizza…and tacos! In fact, there is no greater cliche than a Swede whose favourite foods are pizza and tacos, and so far this summer I’ve already eaten both! 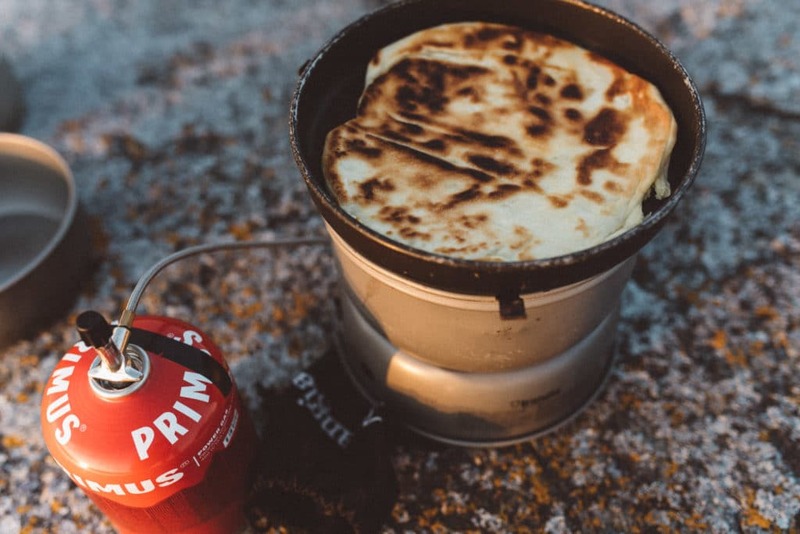 Because of their tireless national love for the Italian cheesy pie, we decided our second trip out would be a pizza party on an island using only camping stoves. Going into the feast, we each had to chose a different pizza recipe and devise a method for cooking them with a camping stove. It was one-third competitive, one-third creative, and all the rest delicious! As the only Canadian in the group, I opted for a recipe featuring maple syrup and fruit on an otherwise savoury pizza (yet it also featured a respectable Swedish cheese: Västerbottensost). While the pizza turned out great, there was much debate as to whether or not it counted as a pizza! Obviously, it did. After trialling five different pizzas with five different cooking methods, it was clear that flatbread or pre-made crusts worked better than dough. If you go for the gamble and decide to use pizza dough, it is best to cook the base first in a pan with oil and then add the toppings. In all situations the toppings had to be further cooked in more of an oven, so we used the smaller pans as lids, applied foil tops, or built a stove with a fire lid. 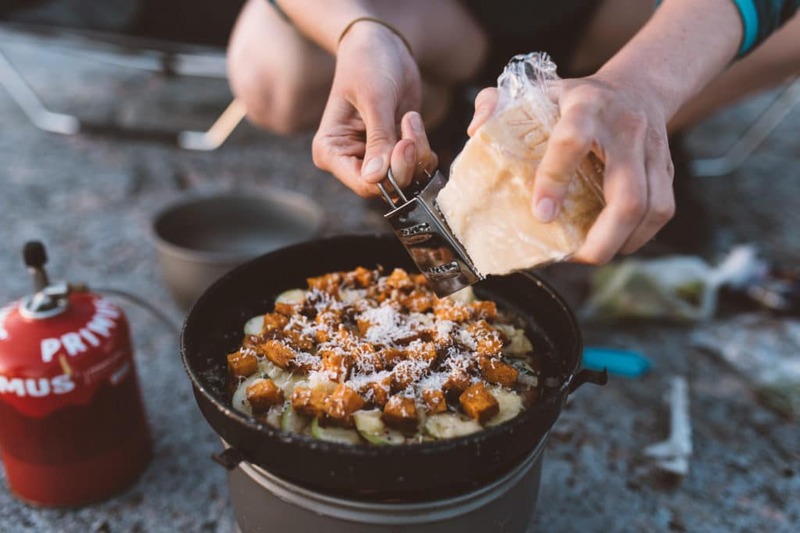 The fire lid is ideal for more experienced campers. Thomas, the guy who employs us all and founder of Do The North, was convinced that an upside-down method (discussed only in camping circles of avid Trangia users) was fool proof. Alas, it turned out to be fool-worthy, but tasty nonetheless. 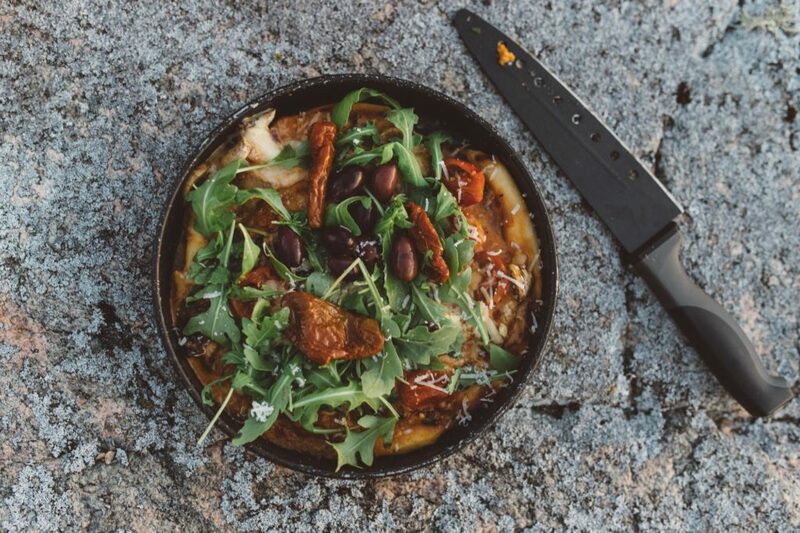 All in all, I would go for flatbreads as pizza crusts, toppings of your choice, and then cook over a burner with a smaller pot used as a lid (creating an oven like structure). This method is tried, tested, and true!